Stackhouse Poland’s annual golf day takes place in aid of the Macmillan Unit of Christchurch Hospital. Stackhouse Poland employees hosted their annual Charity Golf Day. In the last 15 years these golf days have raised in excess of £60,000 for local charities. 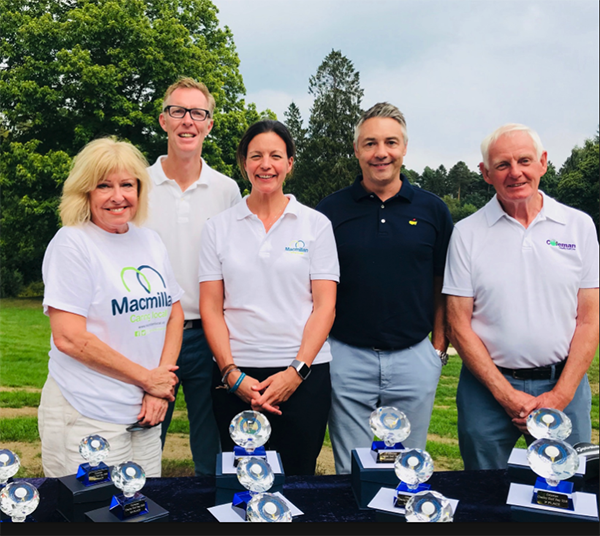 This year’s event took place at Remedy Oak Golf Club, raising funds for the ‘Macmillan Caring Locally’ charity which is a specialist palliative care unit at Christchurch Hospital and recognised as a centre of excellence for palliative care. ‘Macmillan Caring Locally’ is currently running its ‘Brick by Brick’ Appeal to raise funds to enable it to build a brand- new unit in the grounds of Christchurch Hospital. The new building will allow the unit to expand the number of in-patient beds, purchase new and improved, modernised equipment, create more space for patients’ treatments and provide direct access from ground floor rooms to the gardens. The Macmillan Unit at Christchurch Hospital provides specialist palliative care for patients with life-limiting illnesses in South East Dorset and South West Hampshire.